This entry was posted in Uncategorized and tagged Additives, Agribusiness, Beef, food, Meat, Nutrition, PinkSlime, Processing by christao408. Bookmark the permalink. I wholeheartedly agree with your opinion regarding this topic and while I’m not from the U.S nor live there I hope for Americans to take a true stand regarding processed food. Even though Americans seem to have a much better awareness and seek truly organic food, their attempts seem to be unheard by the officials. It’s a vicious cycle that of health care(as in health insurance), education, and this. One that can be broken by providing actual organic food, I believe. Thank you for sharing! I agree with you. I think we should be able to know what goes into our food, which will better equip us with making the right nutrition choices for ourselves. Ground beef should be just that, ground beef. If there are additives, label it and let us choose! This is another good example about corporations putting dollar and cents (or sense) above anything else, I suppose. Having a hamburger is seldom on my menu for quite a long time, ever since I learned there are so many other “body parts” included in it. Earlier this week while listening to the radio during the drive home from work, one of the big processing companies stated that Americans wanting to eliminate this food product had no idea how doing so would make other beef products more scarce and cost more for everyone. Really?! YOU SHOULD HAVE NEVER PUT THIS crap OUT INTO THE MARKET IN THE FIRST PLACE!! Now it’s our fault? Incredulous! Ewww! 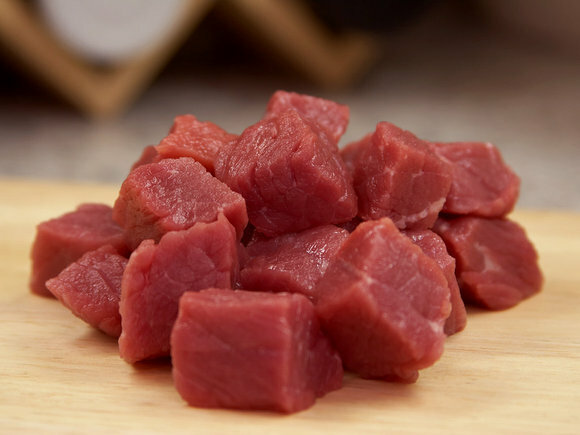 What exactly is finely textured lean beef (a.k.a. “pink slime”)? It sounds as if it isn’t even beef. I am for honesty in labeling. I want to know what is in the package that I purchase. Personally, I buy a piece of beef and ask to have it ground. Ok, when at a fast food place – God only know what is in the burger! I do think even the methods of treatment for the product need be on the label. I am an organic food purchaser whenever possible. The other part of the story is bad PR to call it “Slime”. I remember watching this Jamie Oliver show. http://www.youtube.com/watch?v=RBkwUt-bqIo I’m sure he went a bit over the top but probably not too much. I do have to admire how corporations can get the most out of a cow in a very efficient manner. When I buy meat, I try to do that at my local organic butcher shop. Point taken.But, I don’t think we should have any illusions about how any meat is processed. Ever been to a slaughterhouse, sausage factory, back room of the butcher’s shop…? I’m not really bothered by this product. Then again I eat chicken nuggets despite the fact that chickens don’t have nuggets. I also eat sausage and hot dogs. If people have a problem with this stuff they definitely shouldn’t eat salami, sausage, hot dogs, or any other processed meat. @AtheistInfidel – Thanks for your comment. I get your point that there are lots of processed meats out there – I make my own sausages so I understand the wide variety of meats that can make their way into a hot dog, for example. But I’m not sure that when folks go to the grocery store and buy something labeled “100% ground beef” that they have any indication that it qualified as a “processed” meat. They just think it is chunks of beef that have been ground up. Maybe I’m way off base, but it seems to me that clearer labeling is required. 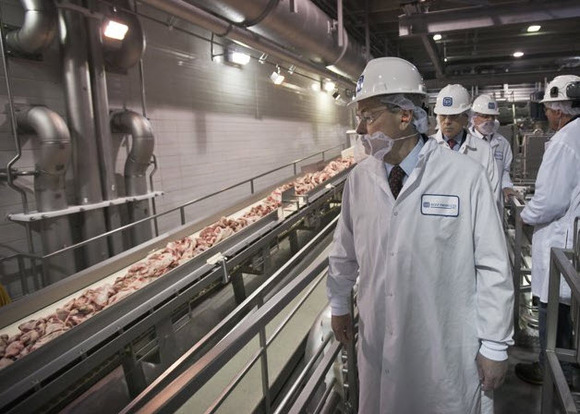 @Inciteful – Agreed that we shouldn’t be naive about meat processing… it isn’t a pretty process. But we should know when our “meat” is being bathed in chemicals and have the freedom to choose whether or not we want to buy it. @ElusiveWords – I remember seeing that demonstration. It drives home the point. I’ll be the first to admit that I eat a chicken mcnugget from time to time… but I do so fully aware of the extent to which it has been processed. @Fatcat723 – And that’s why I generally avoided the use of the word “slime” … no need to call names when having a discussion. @npr32486 – True… would like to see a video for that, too. 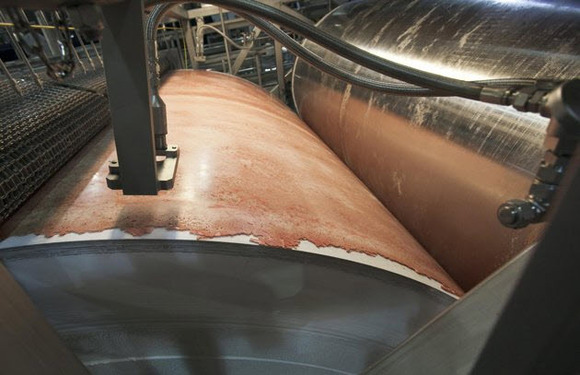 @beowulf222 – If you look up “pink slime” on Wikipedia, they describe the manufacturing process. It is technically beef… or at least bits that were once a part of a cow. 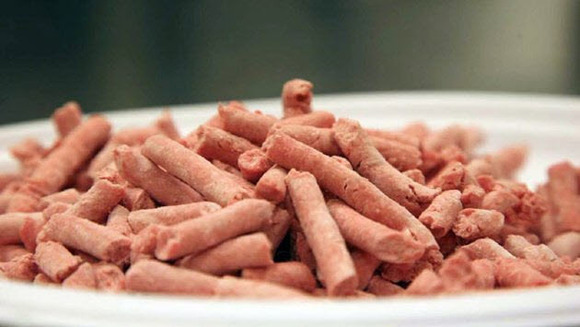 But there isn’t much meat there and it has been chemically treated to kill bacteria. @Leilani – Yeah, the cost of food argument is a red herring. Meat should be more expensive relative to vegetables. Processed foods need to be more expensive than whole ones. If we stopped taxpayer subsidies to corn and soy farmers we would see a food system where prices more accurately reflected the healthfulness of the food we ate. @CurryPuffy – It seems if you believe in the free market, you would want to end government subsidies for agribusiness. As you point out, though, there’s lots of money to be made by large companies and they are more interested in the money than the health of their consumers. @TheCheshireGrins – Seems to me to be a conservative stance, right? Be truthful about what you are selling and let the marketplace decide. @nov_way – All around the world we see the cycle repeat: the more a population eats highly processed food, the more incidences of health problems like obesity, heart disease, and diabetes we see. The food industry is just as corrupt as the oil companies, drug companies and banks. If they were as interested in making safe products we could afford instead of profits and buying off politicians, it would be a better world. i agree! makes me want to go out and buy a meat grinder so that i never have to buy ground mean again…reminds me a bit of michael moore’s documentary, food inc. actually, it reminds me of upton sinclair’s “the jungle.” hmm… glad i already finished eating dinner.i wonder, though, if we need to go one step farther back and demand that labeling include whether the animals are treated with steroids, hormones, antibiotics, etc. i know that some voluntary list that they don’t do this (so then i guess we must assume that everyone else does?). but i really would like to know what it is that i’m eating. @christao408 – It’s really like squeezing the last bit out of the tooth paste tube. In this day we seem to have more and more of the “complexes” (such as the agricultural-food processing complex) that somehow don’t have our best interest in their mind.How do you make your own sausage? This would make a good blog entry. @beowulf222 – To extend the analogy, it would be like squeezing the last bit of toothpaste from the tube, mixing it with ammonia to kill any bacteria, then mixing it into a new tube of toothpaste without mentioning it on the label… =( As for the sausage making, here’s the original entry about my first experience making sausage. @murisopsis – Always good to know the butcher… or be related to him/her! @kunhuo42 – You’re absolutely right: labels should let us know more details about how the meat was raised, everything from antibiotics to growth hormones to confinement. What with technology these days, I should be able to scan a bar code (with the smart phone I haven’t bought!) and learn more about the meat I’m buying. @Ricardo98 – This is where you see, once again, the blurring between the large industries and the government agencies responsible for regulating them. A revolving door ensures that regulations favor the industries over the individual consumers. I know that technology is ready for meat to be grown like plants. Maybe one day we are all forced to eat grown meat. @ClimbUpTreesToLookForFish – If it is labeled as such and we have a choice about what we eat, that would be okay with me. Interesting, and I agree with you about labelling, Just out of interest, if you were making burgers, would you buy the meat in its already ground beef state or would you buy the cuts and ground it yourself? No more fast food for me 😦 That is gross… Is it all meat or only beef? !